Our Albuquerque take out and delivery options feature a variety of our Mexican and New Mexican dishes suited for just about any palate. If you don’t see what you are looking for here, browse our Regular Menus and choose your take out food from there. Plus, if you are looking to feed a crowd, visit our Albuquerque Catering page to see large quantities. Nachos – Individual nachos chips, piled high with refritos, loaded with melted cheese, sprinkled with jalapeno pepper slices and topped with fresh garnish. Quesadilla – Crisp, flour tortilla with melted cheese, a few slices of jalapeno and garnished with a dab of sour cream. Botana Crispeantes – Spicy beef, chicken or carne adovada filling, crisp fried as a chimipqueno. Includes chile con queso and guacamole for dipping. For an extra treat, try a combo. Each dinner includes a choice of two sides (choose from beans, rice, Mexican corn or papitas), two sopaipillas and honey. Please specify red or green chile. Utensils upon request. Fajitas – Choice of beef, chicken or combination of both. Choice strips marinated in tangy citrus juices and spices, combined with sauteed onions and peppers. Served with pico de gallo, guacamole, sour cream, flour tortillas and beans. Taco Salad – Beef or chicken and whole beans on salad greens, served in a crisp tortilla shell and garnished with avocado slices, sour cream, black olives and shredded cheese. Hamburger – with chile beans or french fries. Generous half-pound patty, cooked to order, served with lettuce, tomato and onions. Bean Burrito – A flour tortilla wrapped around refritos, smothered with Chile sauce, topped with melted cheese and garnish. Meat Burrito – A flour tortilla wrapped around your choice of beef or chicken, smothered with red or green chile, topped with melted cheese and garnish. Chimichangas – A crisp burrito filled with your choice of beef, chicken or carne adovada. Comes with sour cream and guacamole. Combination Plate of 2 or 3 Entrees – Two (or three) entrees of your choice. Choose from Enchiladas (white corn tortillas served flat or rolled), Tamales, Tacos, Chile Rellenos or Guacamole Tostadas. 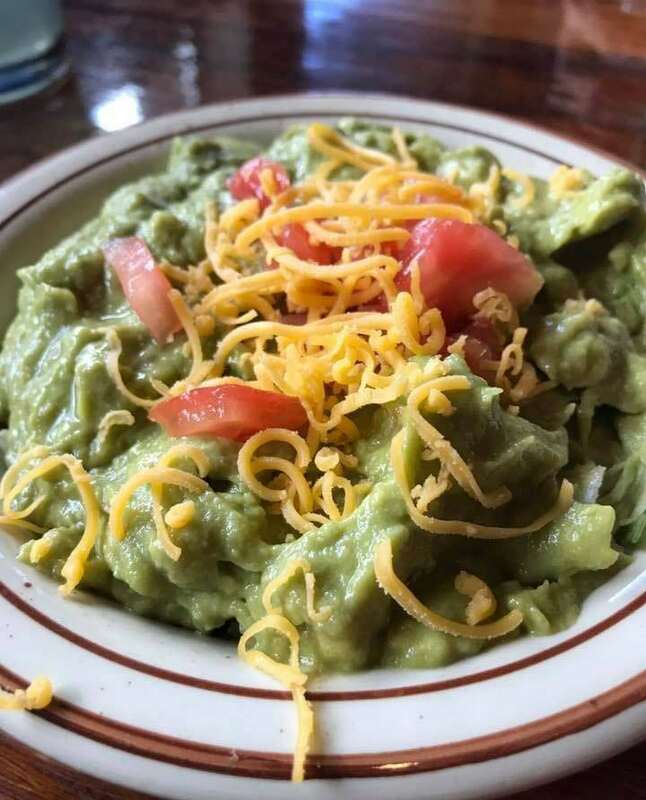 Flautas de Chimayo – Your choice of beef, chicken, carne adovada (red or green) or a combination, and melted cheese rolled in a corn tortilla and fried. Comes with sour cream and guacamole. Macho Enchilada – A hearty sauteed blend of spicy beef, Mexican sausage with minced green pepper, onion and other tasty morsels make this the top enchilada. Stuffed Sopaipilla – A sopaipilla stuffed with your choice of beef, chicken or carne adovada, refritos, melted cheese and salad garnish. Chile Rellenos – Prepared in the traditional way with a large, full green chile pod, filled with cheese and fried in egg batter. Covered with green chile, more cheese and garnish. Tacos – A crisp fried corn tortilla filled with your choice of beef, chicken or carne adovada and salad garnish with red chile, green chile or salsa. Taco Grande – Large, thin crisp tortilla filled with your choice of beef or chicken, melted cheese, guacamole, sour cream, lettuce and tomato. Tampico Tacos – A very special taco blend of choice beef strips simmered in several chiles and spices – even the garnish is an unusual garden variety. Served soft shell and cooked to order. Includes a side of salsa or chile sauce. Camarones Victor – Six plump shrimp stuffed with imitation crab, whitefish, diced jalapenos, chopped green chile, and Monterrey jack cheese and wrapped in bacon. Broiled to perfection and served with Spanish rice, chile con queso, red or green chile and flour tortillas. Chilaquile Casserole – Layer upon layer of carne adovada, melted cheese, bell peppers, onions, sweet corn and crushed tostada chips smothered in red chile sauce. Topped with more cheese and chile then served with a small guacamole salad and large flour tortilla. Green Tamale Pie – Succulent green carne adovada baked in sweet corn masa with bits of onion and bell pepper, green chile and cheese. Served with a side of Spanish rice and garnish. Papa’s Famous Puffy Taco – Shredded chicken sauteed with salsa in a large puffy sopaipilla shell, topped with lettuce and sour cream and your choice of guacamole or pico de gallo. Served with two sides. Plato Grande – Enough to feed the whole family! Two guacamole salads and a large tray with chicken enchilada, blue corn beef enchilada, chalupa verde, chile relleno, pork tamale, carne chimichanga, beef flauta, Chile con queso, red and green chile. Comes with chips and sopaipillas. No Substitutions Please. Burrito Grande – The “Big” Burrito! A 9″ flour tortilla filled with refritos, taco meat, carne adovada, red or green chile, lettuce, tomatoes and cheese. Smothered with red or green chile and served with two sides. Papa’s Crab Cakes – Battered and deep fried, lightly breaded whitefish and imitation crab. Cakes served over rice pilaf and topped with creamy mayo/honey/chipotle sauce. Comes with two sides, lemon/tomato garnish and lemon wedges. 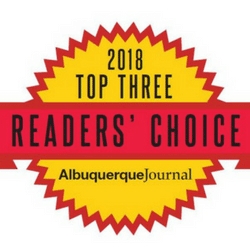 Steak and Enchiladas – A succulent six ounce Choice Top Sirloin, chargrilled to order, and accompanied by two cheese enchiladas, choice of red or green chile and two sides with regular garnish. Beverages – Your choice of coffee, iced tea or soft drink (16 oz.). 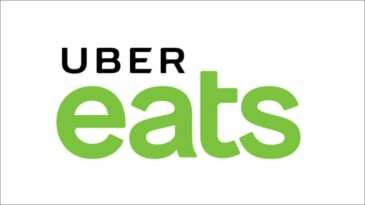 Looking for Mexican Food Delivery? 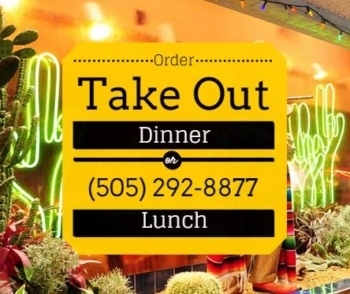 Take Out Albuquerque: Papa Felipe’s – Your choice for some of the best Mexican and New Mexican food to go! Serving Albuquerque neighborhoods near Eubank and Menual, 87122.